A brand new version of the ionic final mobile suit of CharAznable as envisioned by esteemed mechanical designer Hajime Katoki.Originally designed for the cg short in the G-Dome at Gundam Front Tokyo, ithas been further refined to pair with its rival the Nu Gundam. New featuresinclude sliding panels to reveal the interior mechanical detail, pop openthruster hatches in the legs, a second beam rifle, as well as redesigned beamtomahawk incorporating elements from the Sinanju, LED unit compatibility forthe head. All iconic armaments including 6 funnels, beam rifle, beam tomahawk,beam sabers and shield are included. 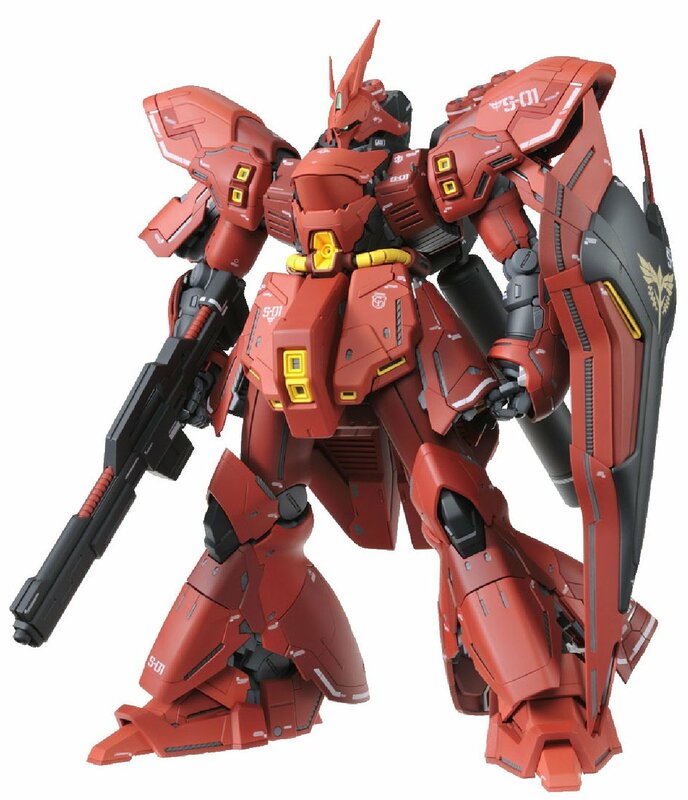 From the Manufacturer A brand new versionof the ionic final mobile suit of Char Aznable as envisioned by esteemedmechanical designer Hajime Katoki. Originally designed for the cg short in theG-Dome at Gundam Front Tokyo, it has been further refined to pair with itsrival the Nu Gundam. New features include sliding panels to reveal theinterior mechanical detail, pop open thruster hatches in the legs, a secondbeam rifle, as well as redesigned beam tomahawk incorporating elements fromthe Sinanju, LED unit compatibility for the head. All iconic armamentsincluding 6 funnels, beam rifle, beam tomahawk, beam sabers and shield areincluded.